Q. What is the difference between START TODAY and START ON A SPECIFIC DATE? A.START TODAY: This option is for people who want to get started immediately. When you sign up using this button, The Self-Love Project Guidebook + Workbook will be sent to your inbox immediately. You then have 10 days to read the Guidebook (including videos) and complete the workbook activities to be ready to begin your 6 week program. After 10 days, you will receive your Day 1 Program Email which will include the first weekly coaching video (approx 45 minutes). All members are welcome to participate in a future START ON SPECIFIC DATE program (see below) at no extra cost if wanting to experience the group sessions as well. START ON SPECIFIC DATE: This option is for people who want to attend weekly group online sessions that are facilitated live each week. When you sign up for a specific start date, The Self-Love Project Guidebook + Workbook will be sent to your inbox immediately. Participants are invited to read the Guidebook (including watching the videos) and complete the accompanying workbook activities prior to beginning the 6 week program with other participants. Your Day 1 Project Email will arrive on the designated start date. As for your weekly group meetings? You will be sent an easy to access link for the online group sessions held on Monday nights from 8pm – 9.15pm. If you feel like you can’t find the time right now for your own stress management, inner peace, improved confidence and wellness with Self-Love then it’s possible that you don’t want it bad enough at this point in time. That’s completely okay. But we would ask you to consider the alternative which is this: your experience of lack (on any level) will stay the same if you don’t take action and commit to making some changes. Q. How much time will I have to invest? A. This program has been designed with busy people in mind. As a working parent with a very full life, Eloise knows how hard it can be to grab even just a few moments to yourself. As such, a large amount of flexibility has been built into The Self-Love Project to make it practical and achievable. Your daily Self-Love habits can be done in as little as 20 minutes per day. Many participants do more by choice. If you don’t think you have the time right now for your own stress management, inner calm and improved confidence that you can handle whatever life throws at you, then it’s possible that you don’t want it bad enough right now. That’s completely okay. We ask, however, you to consider the alternative which is this: your unsatisfying experience of lack will stay the same until you are ready to take action and make some intelligent changes. Q. Will this program definitely work for me? I’ve tried other experts, courses or coaching sessions that haven’t worked. A. Here’s the truth. A lot of people dip in and out of wellness strategies… always looking for the next quick fix… without really committing to any which one path. For most people, this approach just simply never works. The Self-Love Project program is really effective because it provides you with a reliable, flexible and proven framework to establish positive daily habits for Self-Love (the only goal) in 6 weeks. If you work the program, we guarantee (or you’ll get your money back) that you’ll find greater levels of self-awareness, self-respect, self-compassion, confidence and Self-Love… BUT… this will only happen if you commit to your learning and simple daily habits. If you’re happy to commit, we can show you how to live with more love. Q. Does this program mean I have to change my current exercise, eating regime or meditation style if I already have one? A. This program is designed to enhance what you already have in your life AND add simple, powerful and scientifically proven habits for Self-Love. Q. Will this program help me stay focused for the full six weeks? A.This program has a built-in accountability structure that will keep you engaged for the entire 42 days. When you sign up for The Self-Love Project you get daily love bombs for motivation, a daily email to keep you connected and on track plus one coaching video each week. In addition, and only if you choose it, you can participate in optional online weekly Self-Love sessions to connect with other program participants. These happen every Monday night from 8pm – 9.15pm. Q. Why can’t I just read a book or search the internet to learn more on this subject? A. There’s A LOT of information out there on the subject of Self-Love, but most of it is overly esoteric or lacking quality research. When Eloise realised that true Self-Love was the essential ingredient missing from her own life, she began her own search for resources and noticed two things: 1.There was a lot of kind of fluffy information that, instead of helping, just added to her confusion… and 2. Nowhere did anyone provide a step-by-step plan to take simple and achievable actions each day with the ongoing accountability and support needed to stick with it. So, Eloise combined her studies in psychology and psychotherapy with her excellent research and journalistic skills to develop this program. She saw a real need for a clear, strategic, research-based, trustworthy and guided process that anyone could follow for improved Self-Love – without the industry hype and rah-rah. Q. What makes The Self-Love Project the best and most successful choice of program in this area? A. Our confidence in this program’s ability to increase your Self-Love stems from the world-class research it is built on + the multitude of glowing testimonials we have received from past participants who now swear by it as a way of life. Also, to ensure our program is successful in meeting participants Self-Love goals, our team conducted five pilot projects to gather feedback and data from real people just like you. We used this information to further develop the framework presented to you in The SLP Guidebook and 6 week online program. Q. Does the program involve any 1:1 coaching? A. There is no 1:1 coaching in this program. There is however, access to Eloise (or a fully qualified Self-Love Project facilitator) in the weekly group sessions and in the Private Facebook Group. Eloise and The Self-Love Project team are in there to support you through the program and beyond. Q. Can I get refund? A. Yes! 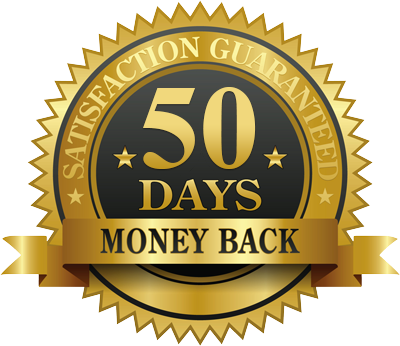 If after going through the program, you’re not happy with the quality of the program or your results, simply email me your completed workbook within 50 days of your purchase and I’ll issue you a full refund. Q. What if I can’t afford it right now? A. Eloise designed this program as an affordable and successful way to be supported as you actualise world-best strategies for Self-Love. It is psychologist, psychotherapist, naturopath and exercise physiologist approved. In our books, your health and happiness is always a worthy investment, even if that means saying no to some other luxuries for a while. Only you, however, can decide if you’re ready to invest or not. We urge you to consider the alternative; your life will stay the same if you don’t choose to take action in support of positive change. We can also guarantee that the longer you choose not to implement changes such as those included in The Self-Love Project, the more intense any feelings of lack will become overtime until life itself will force you to do something about it. Our best advice is not to leave it too late – join us today! Q. Am I too old to muck around with the concept of Self-Love? A. Listen to us. It’s NEVER too late to cultivate Self-Love. Of course the earlier you come to prioritising genuine Self-Love in your life, the more time you will spend experiencing it for reals. If you have already spent a large part of your life without it, then it’s definitely time to take action now. It doesn’t matter how old you are or how long you’ve been struggling, this program will support you to find more compassion, more love, more gentleness and more warmth for the most influential relationship in your life… the one between you and YOU. We are excited to meet you and support you in this specific and important part of your colourful life journey. Join us today. I want you to be 100% happy with The Self-Love Project 6 Week Online Program. That’s why I’m giving you the chance to try out the program over 50 days. If after going through the program, you’re not happy with your results, no problem. Email me within 50 days with evidence that you have completed your daily diary logs in the online membership portal and I’ll issue you a full refund. I’m so confident that you’ll not only love this but that it delivers on its promises too, I want to give you more than enough time to give it a go.